This week, my digital rhetoric class took an unexpected turn. When a student presented about icanhascheezburger and lolcats speak, we started a spirited discussion about the difference between a language and a dialect. 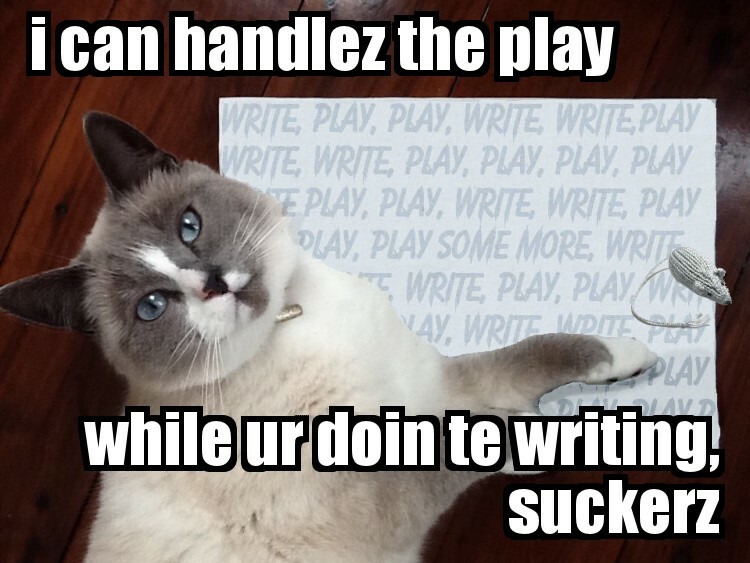 BTW, here there’s a lolcat translator! Anyway, as we talked about some of the grammatical differences between a language and a dialect, I asked what’s at stake when we classify something as a language. At first the students were confused by the question, but I shared an example. In 1996 the Oakland, CA school district recognized ebonics or African American Vernacular English (AAVE) as the “primary” language of their students. When we classify something as a language rather than a dialect, it changes its status, if we can teach it and more importantly if we should teach it. In the case of LOLcats, whether it should be taught or not is interesting. As more and more people communicate only by text, IM, and social media, it seems the language/dialect/pidgin of LOLcats may become more relevant. Moreover, while the class didn’t get to this point, I wonder how much we need to think about the combination of the text and image. The text responds to or builds on the image. They work together.